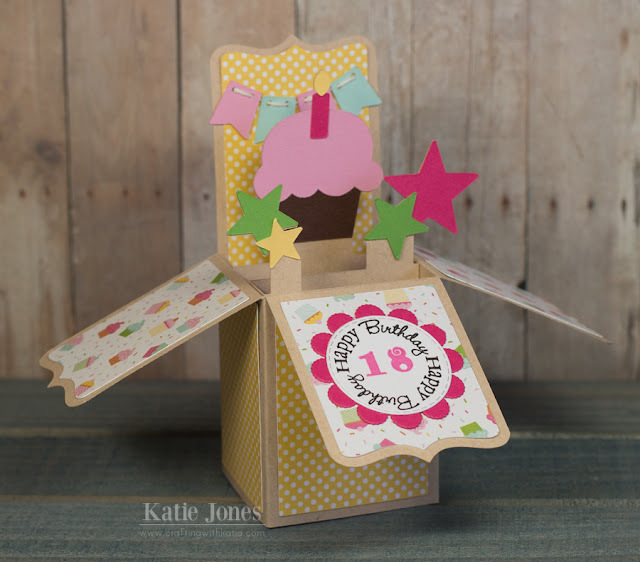 For my niece's 18th birthday, I purchased one of Lori Whitlock's All Occasion Box Cards in Cricut Design Space. I never get tired of these card files! It's so fun how they fold up flat for mailing! After assembling it, I added my own sentiment, made with My Creative Time's All Around Birthday stamp set and the MCT Scallop & Stitched Circle Dies. Super cute box card...I LOVE these!!! She will love this! Perfect colors and oh so cute!!!! MCT 57th Edition Release Blog Hop! MCT Favorite Stamp/Die of the Month!